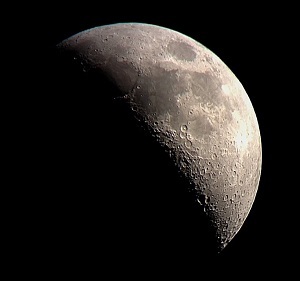 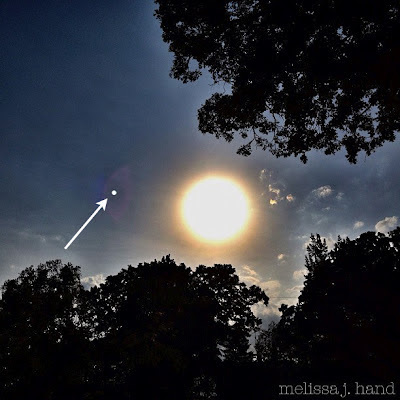 Ok, so I'm writing this post as a public question to anyone who knows more about lenses and transits than I do (which isn't much to begin with). 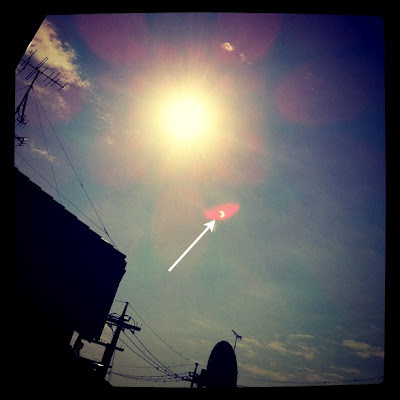 I've seen a couple photos pop up on Instagram where the IGers (Instagrammers) claim to have captured the Transit of Venus in their lens flare. 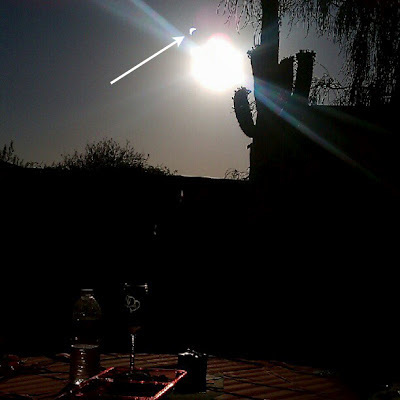 Can anyone say with authority if this is actually Venus showing up in the lens flare? I know eclipses do weird things to light passing through tree leaves, and pinhole cameras can project the transit onto paper, so it seems plausible that something funny is going on with the lens to make Venus visible. 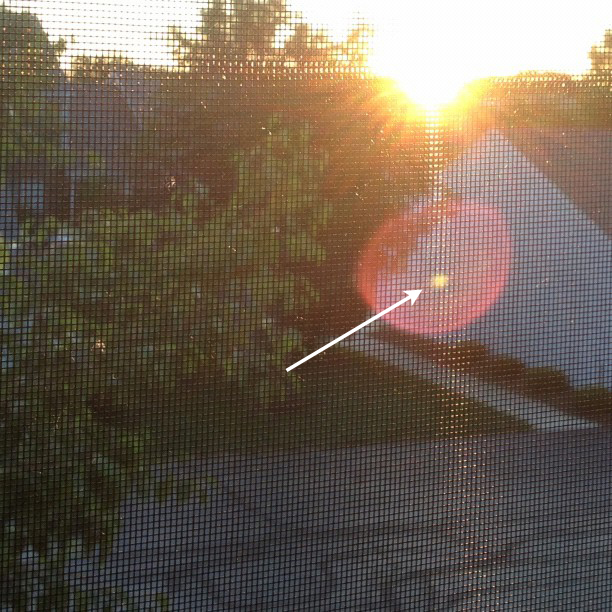 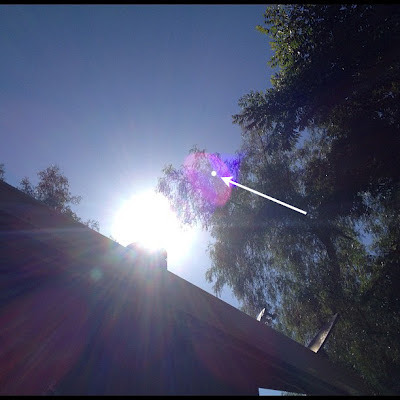 However, upon further Instagram lens flare research using the recent Annular Eclipse as a reference, it appears the inner white dot of the lens flare corresponds to the image of the entire Sun and not a dot on the sun. 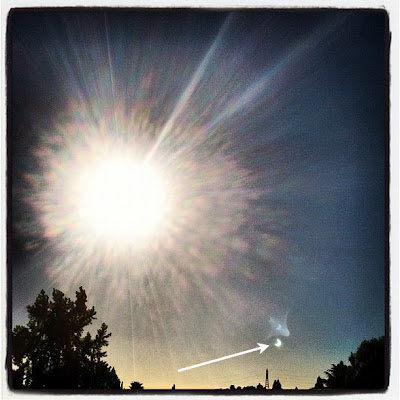 So my conclusion is that the Transit of Venus was NOT visible as a lens flare because the white dot at the center of the flare corresponds to the entire solar disc and not a shadow on the disc. On the other hand, it appears that the lens flare is a convincing way to capture images of an eclipse using nothing but an iPhone camera - pretty cool!